General Motors’ EN-V concepts made their North American public debut at the Consumer Electronics Show in Las Vegas this week, following a six-month run as main attractions at the 2010 World Expo in Shanghai. EN-V, short for Electric Networked Vehicle, is a vision of the future of urban personal mobility. Three different EN-V designs represent distinct characteristics that emphasize the enjoyable nature of future transportation: Jiao (Pride), Miao (Magic) and Xiao (Laugh). 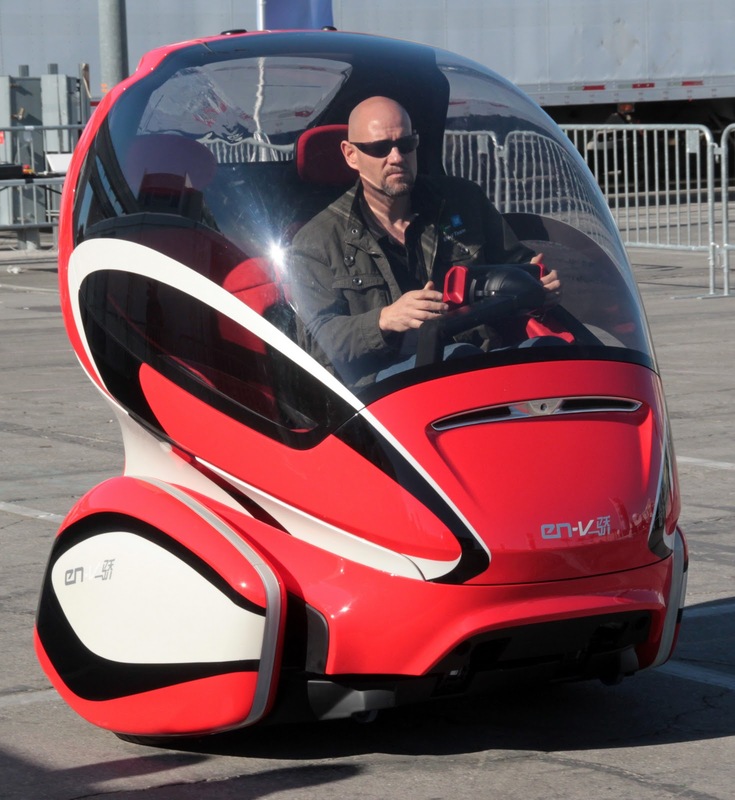 Using a driving course set up outside of the Las Vegas Convention Center, GM demonstrated the autonomous driving capabilities of EN-V, including a feature that would allow the vehicles to park themselves and automatically return to the user when summoned from a smartphone application. At less than half the length of a Smart ForTwo six EN-Vs can fit into a standard American parking space while oneself-balancing two-wheeled EN-V provides interior space for two passengers. Using its sophisticated sensing technology, EN-V can detect obstacles in its path, including pedestrians or other vehicles, and automatically come to a stop. “I was a little worried about the balancing before I got in but it felt totally normal, complete natural,” said Mark Harris of the Sunday Times of London, who rode in one of the EN-Vs. Following CES, the EN-V vehicles will be on static display at North American International Auto Show in Detroit and make selected appearances around the United States.